Making a film or video is an exciting prospect and there’s a great temptation to get started as quickly as possible. 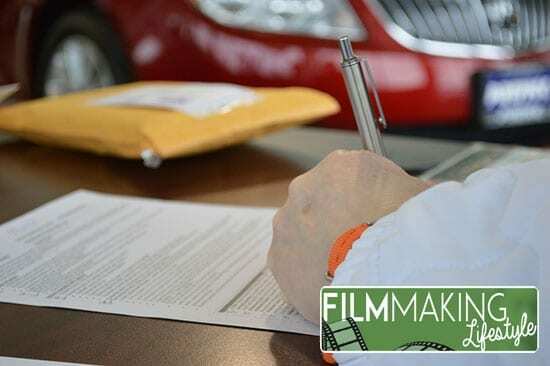 However, any film worth making requires a great deal of planning and preparation, and that includes ensuring you comply with all legal issues. So for those reasons, this article of going to help you with the legal side of filmmaking. If you’re intending to distribute or broadcast your film in any way, you have to ensure every aspect of it is legal. That includes complying with all statutory obligations, copyright laws and getting permission whenever it’s needed. You also must have adequate public liability insurance to ensure you’re covered against any damage or injury caused when you’re filming. I’m sure I don’t need to tell you that there’s unfortunately a large suing culture these days, especially in the United States. Not trying to sound too dry here, but: you must ensure you’re covered whenever you’re working on film or video projects around the general public. The safest way to work is to use as much original material as possible so you don’t have the problem of needing permission to use something that is someone’s property. However, being safe can be very limiting and will often not result in an interesting film. Even then, you’ll still unavoidably need clearance for certain elements. The challenge is to know what you need clearance for and, if you’re not sure, get it anyway to be safe. It’s best to obtain permission as you go along, while the subject is being dealt with and the people are available. Leaving everything to the end might seem simplest while you’re involved in the actual production, but it will undoubtedly cause problems and delays you can’t afford. Don’t procrastinate — do it there and then so it’s out of the way. For your film to be broadcast, you must be able to prove you own or have permission to use all its content. That means having documented evidence that you have rights to use every item in the film — either proof that some content is freely available in the public domain or a letter confirming permission. You may also have filmed statements that people are happy to appear or allow something to be used. Make sure you get these as you’re filming (for instance, during the filming of the interview segments in a documentary), and not try and come back for them at the end. If nothing else, tracking people down and finding time to sit for a 10 second “you’re allowed to use my image” shot is tough to pull off! 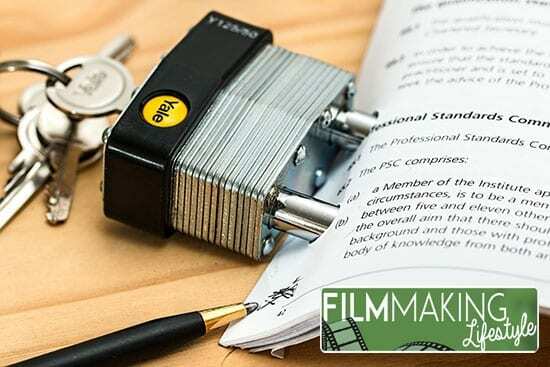 Copyright is a bit of a double-edged sword because, while it protects you as the maker of the film by ensuring you can decide who sees and copies it, it also protects the creators of elements you use in the film. You must obtain permission from everybody whose work you include in your film and you may have to pay to use it. something that’s available under a Creative Commons Licence, where you simply have to credit the creator or follow some other condition. Most other things, however, will require clearance so it’s important you recognise what they are so you don’t fall foul of the law. There are many things for which you need to obtain permission to use on-screen, and it’s really a pretty daunting list at face-value. However, in general, it’s anything that has been created or is owned by someone else. As filmmakers, you’ll want your work to be exhibited to the widest possible audience. In order to avoid being sued by “injured” parties, you’ll need to have clearance. You must have permission to use what belongs to someone else – as you’ll see below, what “belongs to someone else,” could mean almost anything! If you fail to obtain all the necessary clearances, waivers, rights and permissions, then you’ll most likely forfeit the right to screen your work in public – be that film festivals, TV, theatre release, etc – or, at the very least, make things very difficult for yourself. In the event that this has been written by someone else, you will need to pay to use it. This is listed as number one here, as it’s one of the most prevalent legal issues in the film industry, not to mention one of the most difficult to ascertain the original rights for — to say it’s a grey area is a massive understatement. If you want to screen your film widely, and potentially seek distribution for it, you’ll have to obtain permission from the copyright holder and possibly anyone featured in an image as well as potentially paying a fee. Some organisations, such as Getty Images, National Geographic and Corbis, provide stock footages and images that are already cleared for publication. Now, let’s be realistic here: nowadays there are fine options for royalty-free stock images that are entirely free. Pixabay is just one example of a site that provides complete free images that you don’t need to assign rights to. For video clips, Pond5 is a great royalty free video resource, although most clips there have a price tag attached to them. Do you have music playing in the background of a scene? You must get permission to include it in your film. Avoiding this reality, has resulted in countless legal battles, films being canned for good, and all sorts of crazy situations in the indie film industry. This article on music clearance in films is a good starting point to dig deeper down this particular rabbit hole. If they feature prominently, you’ll need to obtain permission from the brand owner, preferably before you start shooting. If the item is in the background and not distinctive, it’s likely that permission is not required. If it is and it’s too much hassle, substitute a fictitious product if practical. Most importantly, you may not film any trademark or logo that presents company or brand in a negative light – that is to say, in a detrimental or defamatory way. To do so could expose you to a lawsuit for slander and/or libel. You know, one of those crazy lawsuits you read about within the pages of Vanity Fair! Such as including a famous painting, references to a person or using a well known phrase or saying. The general rule is that substantial use or reference will require permission but, if incidental or in the background, no clearance is necessary. For example, if you feature a London Underground map in your film. Permission will be needed unless, again, its use is incidental. People will generally have to give consent to appear in your film or video project. If using children who are under eighteen, you’ll need permission from parents. You requires permission from the property owner before shooting can start in a building or other location. Obscenity. Avoid content that may deprave or corrupt. You wouldn’t be the first film banned on those grounds. Blasphemy. Don’t include material that outrages or insults religious feeling. For feature films, the British Board of Film Classification has a long track-record of banning extremely blasphemous works. Defamation. You must not make false accusations against an identifiable, living person that may result in them being despised. This may apply to characters that are based on real people if the person, even if not named, is recognisable. Illegality. Don’t encourage criminal behaviour or do anything that is against the law. This applies, naturally, to documentary works. True Stories if artistic licence means the story told differs from the truth. Instead, refer to it as ‘based on a true story,’ or similar. As mentioned at the start of this article, there exists an unfortunate suing culture these days, especially in the United States, where it sometimes seems like it’s a kind of Purge-esque open warfare in the small claims courts! To avoid any legal issues, it’s best to have yourself well-covered if you’re working anywhere near the general public whilst shooting films. It’s always wise to get written and spoken permission from anyone that appears in one of your films. This is even more important for documentary works. The First Amendment protects filmmakers, journalists and news crews pretty securely, but it’s still wise to always seek permission. You should ensure you have Public Liability Insurance (or equivalent in your country) at all times. As a general safe rule, you should have this valued to at least $10 million. Common sense rules. It goes without saying, but stay safe on set, don’t take unnecessary risks and use best practices. In practice, this means taping down wires, not allowing untrained people to run around your sets, providing crew with safety equipment such as gloves for touching hot lights, etc, etc. In essence, copyright and legality issues may be the last things you think about when planning your film. However, they really should be your prime considerations because failing to comply may result in legal action that prevents your film being broadcast or distributed for a long time, if ever. This is especially applicable to indie filmmakers, who unlike the big studios, often face a tougher time with legal constraints due to not having the full force of dozens of highly-paid lawyers behind them. check the script is fair and factually correct where it needs to be. ensure you have clearances for all music, images and anything else included in your film. get permission from all people appearing in the film and the locations featured. make sure you have ownership of all necessary elements. I hope this article was helpful for you as you navigate the legal waters of filmmaking and video production. Let me know if there is anything you’d add to this post, and, as always, please share using the social buttons below. It is crazy what all goes into a feature film and all of the people that are involved. I see it would be the same for a small time documentary as well. You just have to have your bases covered it looks like. Thanks for the resources! Yeah, “having your bases covered” is a good way of putting it! There’s a lot to consider, but hopefully this article has put you on the right path. Pretty good post mate. I’d just add that you’re not completely bang on when it comes to defamation in filmmaking terms. Just as an aside this site is a really good place to find for me as i’m starting a video production company. So thanks for everything that you do mate! Cheers for that addition, Chris.It’s always helpful when people contribute additions and decent links. Excellent suming up of the legal process for filmmaking and video projects. I’ve been stung a number of times because I didn’t pay attention to everything I should have and dotted the ‘i’s and crossed the ‘t’s. Never again. One project even got completely shelved due to circumstances that it got to a point where we couldn’t control. Nightmare. Do your due diligence or be damned! Yeah, it’s hugely important to dot those ‘i’s and cross those ‘t’s! Shame about the nightmare project, but we live and learn!